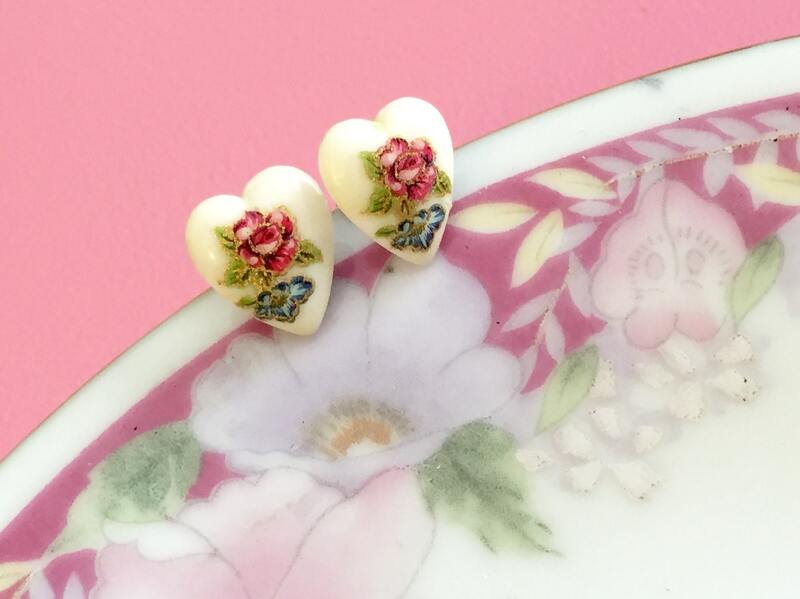 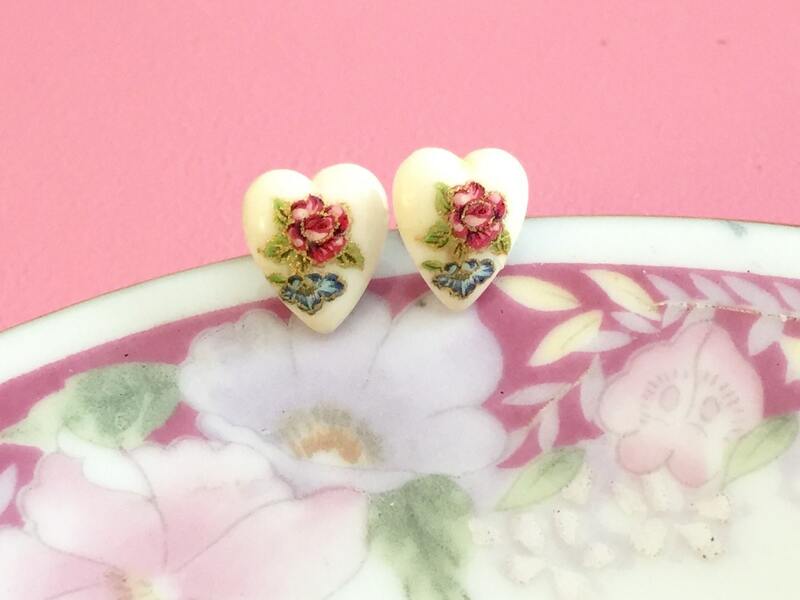 I made these gorgeous romantic earrings with vintage limoges cabochons that have a red rose applied to a ceramic stone. 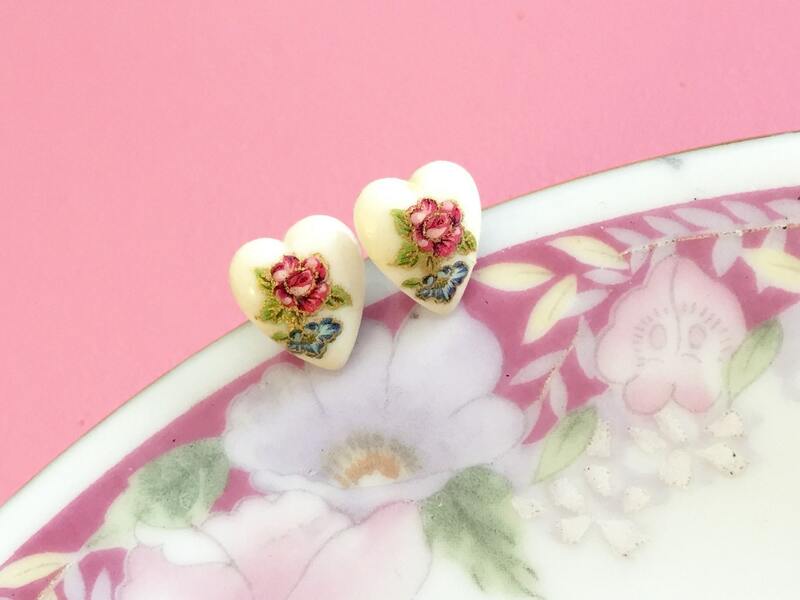 These have been securely affixed to surgical stainless steel ear posts. 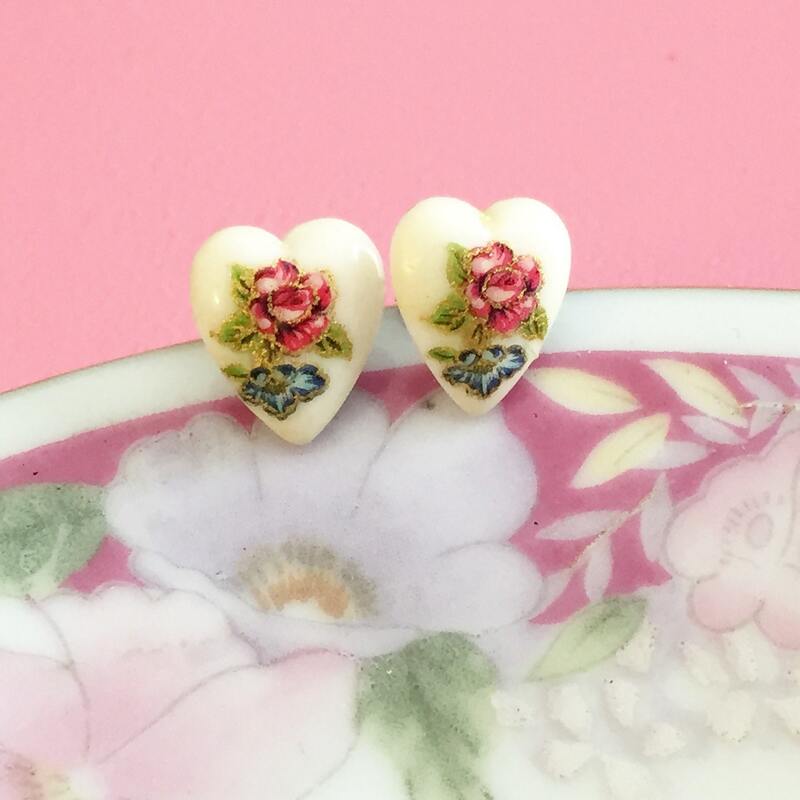 You are purchasing a pair of earrings like those shown measuring approximately 3/8 inches wide by 1/2 inches tall (10mm x 13mm). 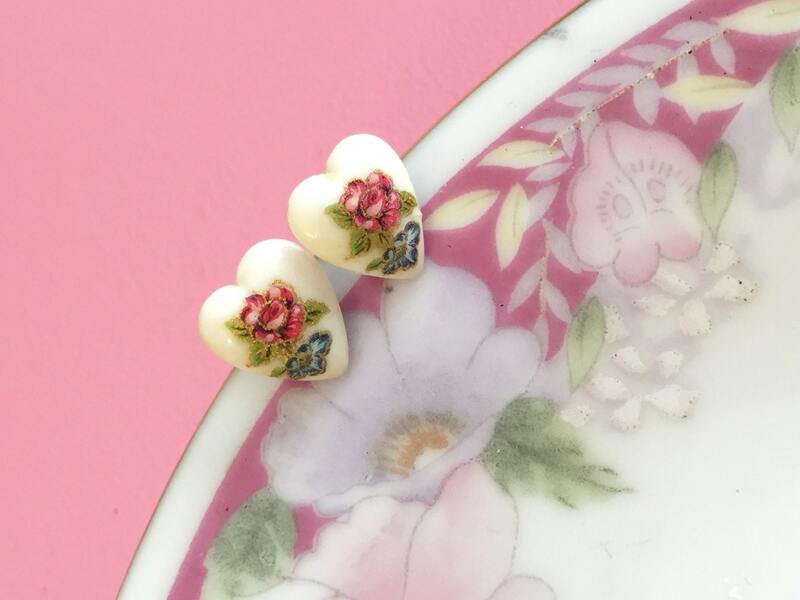 Please note: the placement of the floral image may vary due to the nature of limoges pieces, but each are very similar.